DanmakuCore is a mod to make it easy to bring danmaku stuff from games like Touhou into the world of minecraft. DanmakuCore lets mod devs easily add danmaku without bothering about entities, rendering and so on. On it's own, DanmakuCore adds a few different types of danmaku (not crafting recipes, other mods have to add those), and an example spellcard. For those that are familiar with the Touhou Items mod, note that while this mod might look similar, it makes many choices that are different from the Touhou Items mod. Don't complain because stuff is different please. 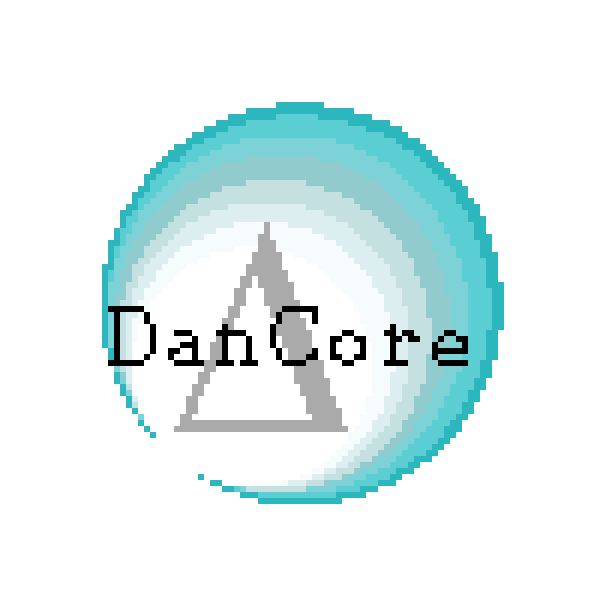 DanmakuCore is currently still in development, and some parts like living entities are very much WIP. Other parts like danmaku and spellcards are however much more stable. Interested to see where it goes! Nope, just working on other stuff. I have big plans here, but need time to implement them in a good way. wassup, this still be updated? or hiatus? I love the fact that a danmaku mod is being made for the more recent versions of minecraft. You are doing great work by the way, I just have one issue currently. Some of the danmaku are invisible when I fire them. For example, I right-click to shoot the danmaku but nothing appears, however, clearly the danmaku did fire because any surrounding mobs appear to take damage and a sound is made when I right click, but the fired danmaku just isn't visible. This only happens on some types of danmaku which are the following: Circle Danmaku, Medium Danmaku, Oval Danmaku, Pellet Danmaku, Small Danmaku, Dark Sphere Danmaku, and Tiny Danmaku. The rest of the danmaku types work perfectly. I was wondering if this was a common problem right now or if I'm the odd one out? Never seen anything like that happen before. The appearance of the danmaku is just that, appearance, so it's weird that it only applies to some types. So the mod works completely fine for you? Huh that is strange. I would try the mod on a different computer if I could but I only have one computer. I tried to see if I could fix it and I even did a fresh install of Minecraft on my computer, but the problem persists. I also downloaded several versions of Danmakucore to see if it's just one version that has this issue but every version I've tried has it. What version of Forge are you running? Have you tried running it with no other mods? I'm using 1.10.2-forge1.10.2-12.18.1.2076. I don't know if I need a different version of Forge 1.10.2, but so far I've tried every version of DanmakuCore and they all crash the game. Nevermind, it turns out that I forgot to update Java. Works fine now. since it is a bit annoying. NoSuchMethod exception crash before fully loading on versions other than the earliest at this time. Where you want me to send the crash report? No need to, that happens because Grimoire of Alice isnt up to date with the latest DanmakuCore.